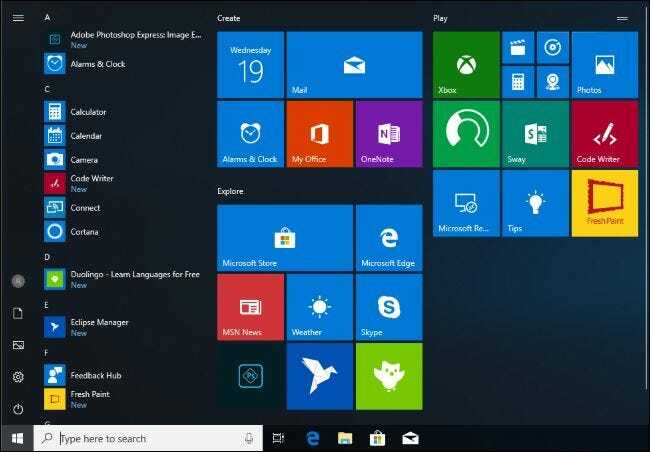 Windows 10’s default Start menu is a cluttered mess, but it’s about to get better in the Windows 10’s next version. That release is codenamed 19H1, and will be released sometime around April 2019. Just look at that new Start menu in Insider build 18305! Sure, it’s not perfect—you can still see Candy Crush Saga and other similar mobile games if you squint—but at least they’re buried in a tile folder. The Start menu now has a simple one column layout with much fewer tiles pinned by default and much less junk. You can also uninstall many of these apps completely in the new update. Yikes. Bring on the update! This isn’t the only new feature in the latest insider build, which is packed with cool stuff. We love the new Windows Sandbox feature, which will let you safely run Windows applications without worrying about malware or junk files that will get scattered across your system.